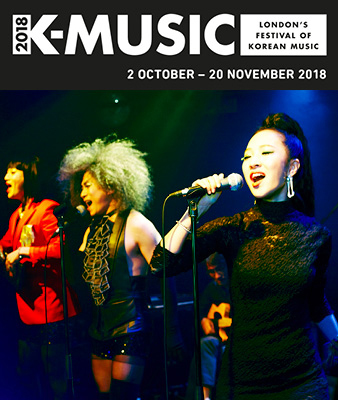 K-Music is back this autumn with a stunning programme of music from Korea, reflecting the country’s ancient traditional culture and its highly innovative and dynamic music scene – one that draws on the past, explores the borders of tradition and modernity and intertwines old and new. K-Music 2018 is part of the Korea/UK 2017-18 season, presented by the Korean Cultural Centre UK. This is a year-long reciprocal programme with the British Council, bringing UK artists and cultural producers to Korea, forging new partnerships between creative organisations in the UK and Korea and fostering greater cultural collaboration between both.